The phrase became popular because of Games of Thrones, but I find myself using it frequently, especially this time of year. Now that peak fall color has passed, I’m looking towards the next season– and I love winter! All too often people complain about summer’s colder sibling. I hate the cold. 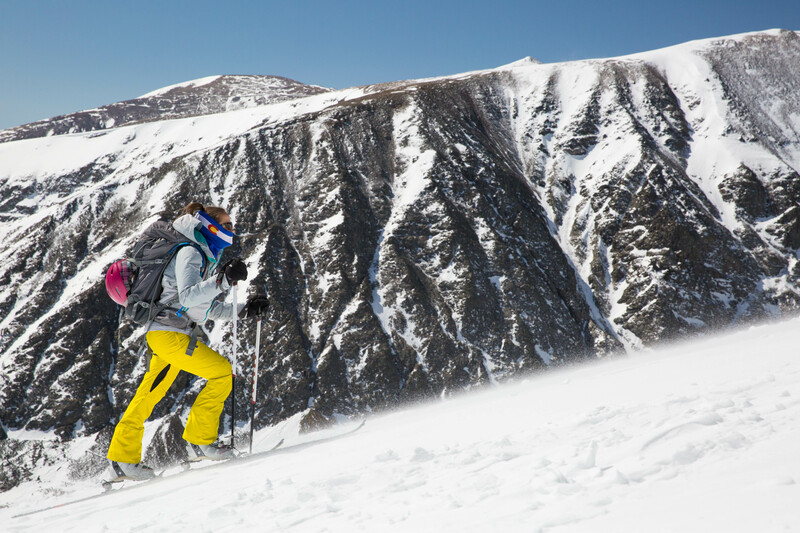 There’s nothing to do if you don’t ski. The days are short. Driving is awful. And on and on. But really, they’re missing the point. 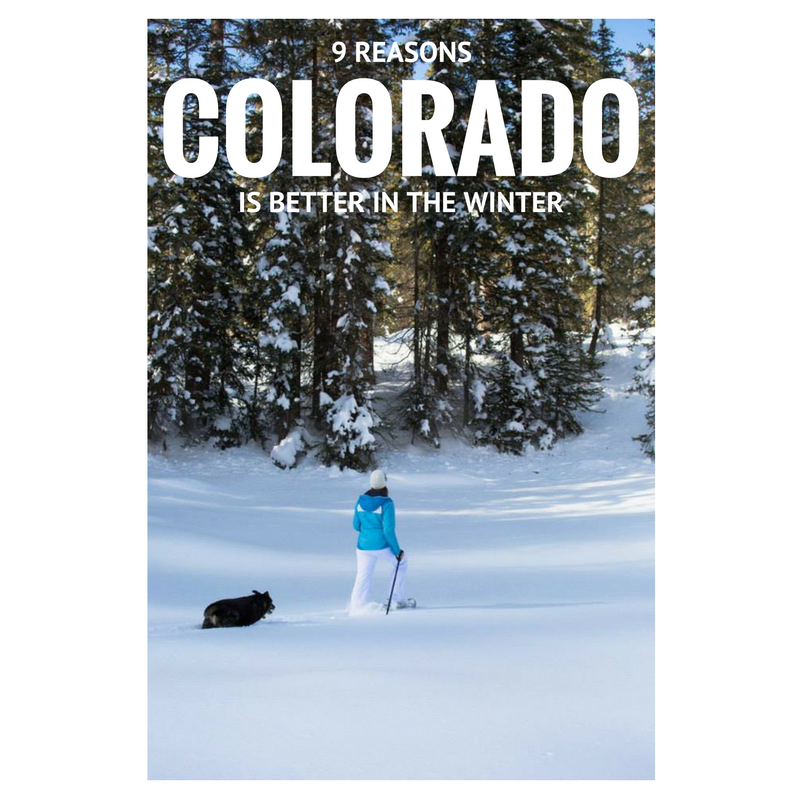 Truthfully, it can be argued that winter in Colorado is the BEST season–and I’m here to tell you why! Summer is teeming with wildlife. We have black bears and mountain lions and marmots and pikas and raccoons and squirrels galore. Mountain goats are essentially deer here, and deer are as common as dogs. But in the winter? That all changes. Bears are in hibernation and the other critters are scarce. Most of them hole up to survive the cold months, so animal sightings are rare. 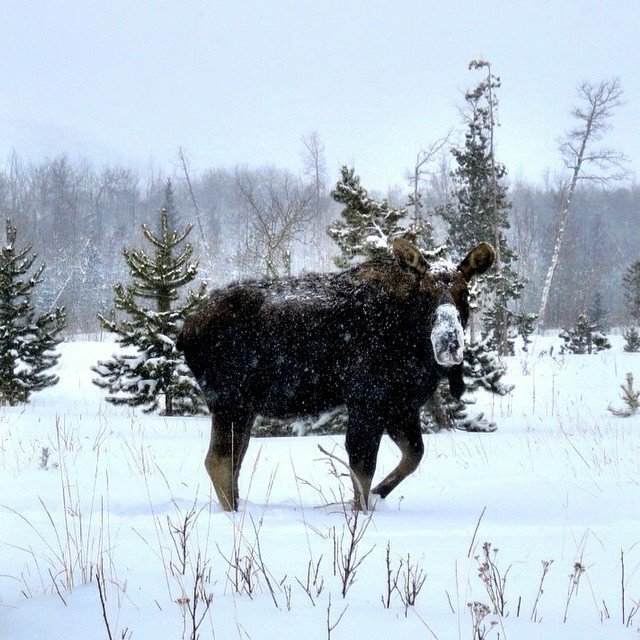 But when you do run across a lone moose while snowshoeing on Cameron Pass, it’s downright magical. There is something special about seeing a large mammal foraging for food in an otherwise desolate environment. It’s damn near other-worldy. There is nothing–nothing!–like the stillness that comes with the dead of winter. As previously mentioned, most of the wildlife noises cease in the winter. Birds fly south so their incessant chirping is replaced with a thick silence. The summer hordes are hiding as all but the most diehard enthusiasts are lurking indoors. And in that silence comes new, unfamiliar noises. Truthfully, I swear you can sometimes hear the snow fall. Pure wonder. Truthfully, I don’t love the stuff. Sure, it’s tasty and sweet, but I never find myself craving hot chocolate…. ….unless it’s during the winter! I could try to explain the unadulterated bliss that comes with a cup of hot cocoa after a day on the slopes, but I’m not sure I could do it justice. Just trust me: go spend a day in the cold and come back to hot chocolate and marshmallows. Your life will be forever changed. 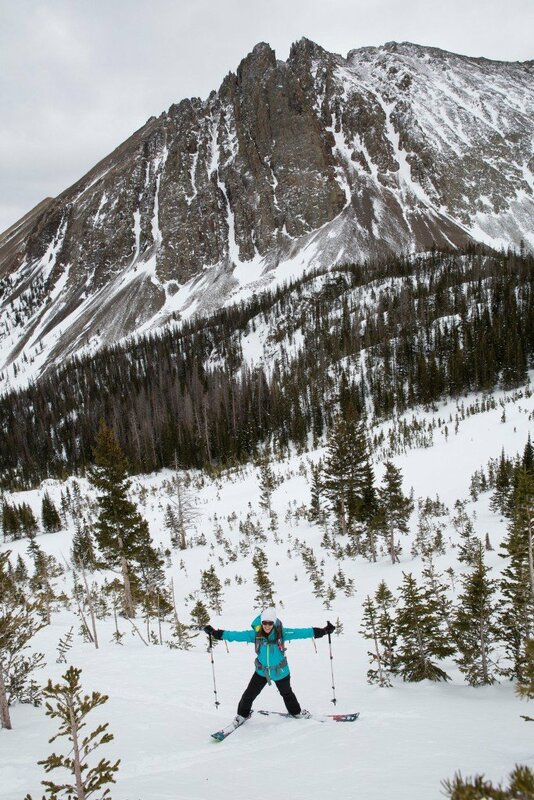 In my opinion, backcountry skiing is to winter what hiking is to the summer–with a bit more speed! I realize not everyone enjoys resort skiing: lines can be long and runs can be crowded. But none of that applies to backcountry skiing. In fact, think of it as you would think of hiking: it’s just another way to tour those beautiful mountains. I’ll be honest: I’ve been curious about this new, trendy winter sport. Why did we need to ride our bikes in the winter anyway? Because it’s freaking awesome, that’s why! 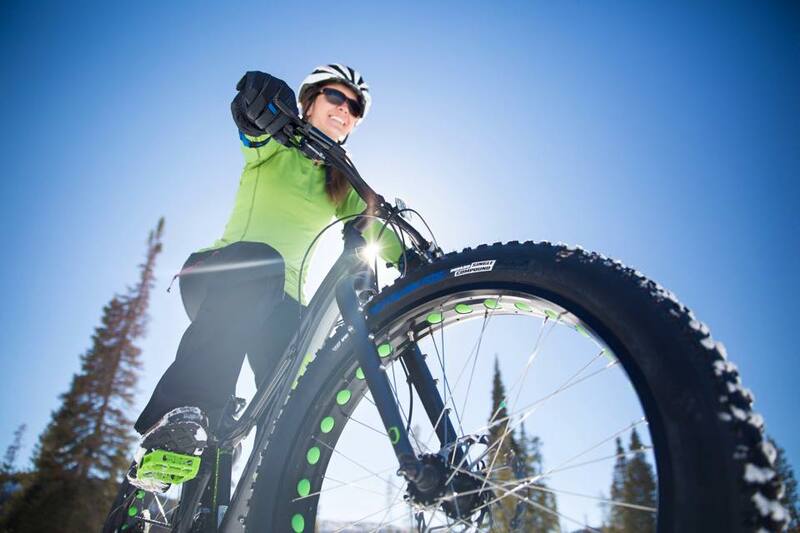 Will and I tried fat biking last year at the YMCA at Snow Mountain Ranch, and it was stupid amounts of fun. Not only do you get to ride through a snowy countryside, but falls don’t hurt. I toppled over at least 400 times and my biggest worry was getting buried in the snow. Not too shabby! 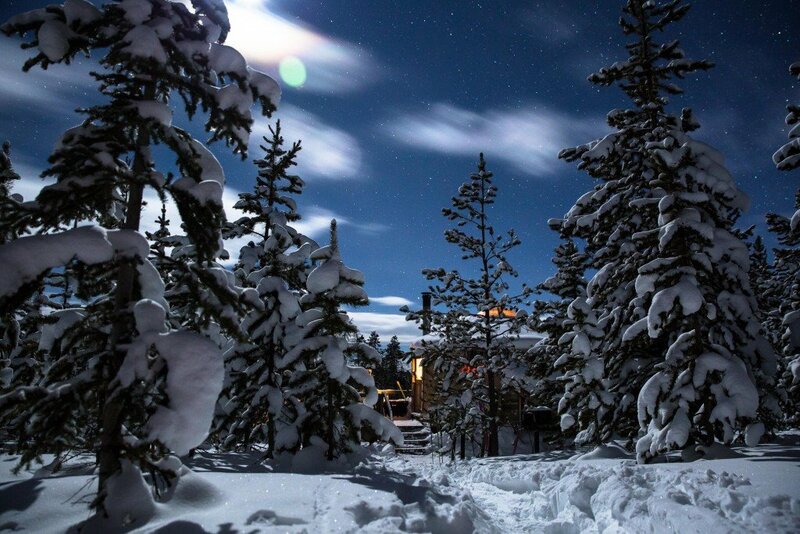 There is something entirely perfect about a small cabin in the woods. Can there be anything more picturesque that sitting by a fire while watching the snow fall after a long day of outdoor playtime? And don’t forget the world-class scenery! I first experienced dog sledding at the Snow Mountain Ranch YMCA last year. Honestly, I was wary. I worried about the dogs’ health; were they fed enough? Did they run too much? There will be a future post about dog sledding in particular, but the takeaway is that my worries were completely eased. Not only do the owners care and love for these dogs, but these pups like to run! 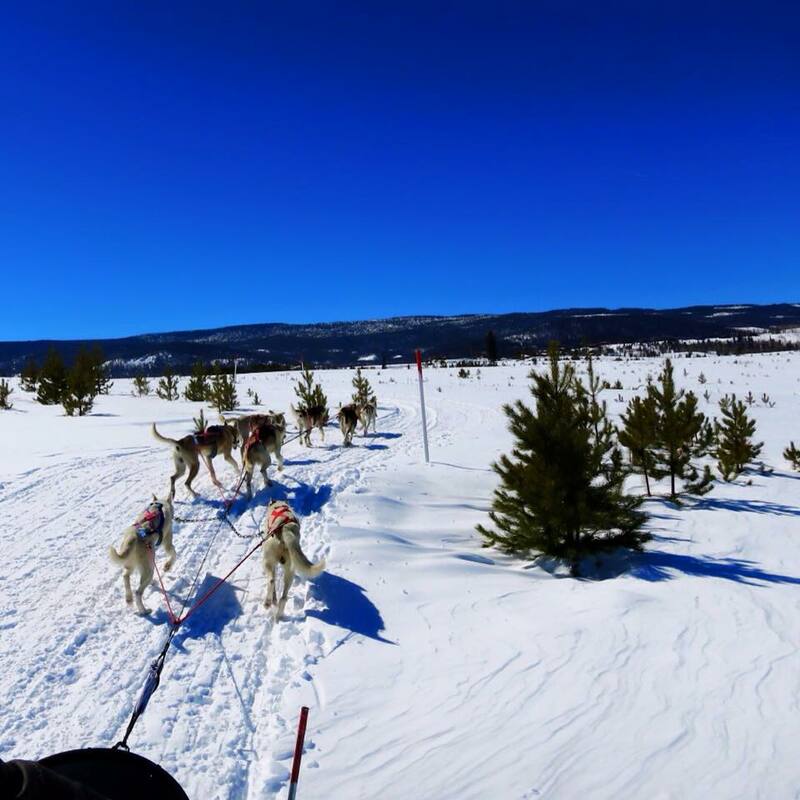 I experienced this firsthand while on the ranch, and there is no doubt in my mind: nothing in the world makes the dogs happier than running with each other and a sled. Colorado may not have castles and princesses but some of our mountain towns? Straight out of a fairytale. Towns like Crested Butte are rich with mining history and have chosen to hang onto their old buildings. Small downtowns spring up around this history to create a unique blend of western-meets-modernity, and it can be incredibly beautiful in the winter. Snow covers the festive buildings while street lights line the small-town streets. Splash some holidays lights and a little garland and you’ve got a scene directly from a storybook. 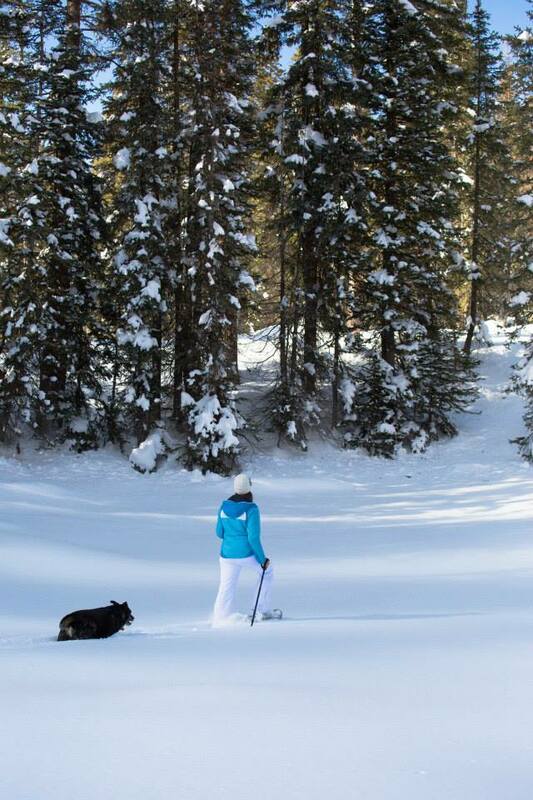 Contrary to popular belief, Colorado is incredibly livable in the winter. 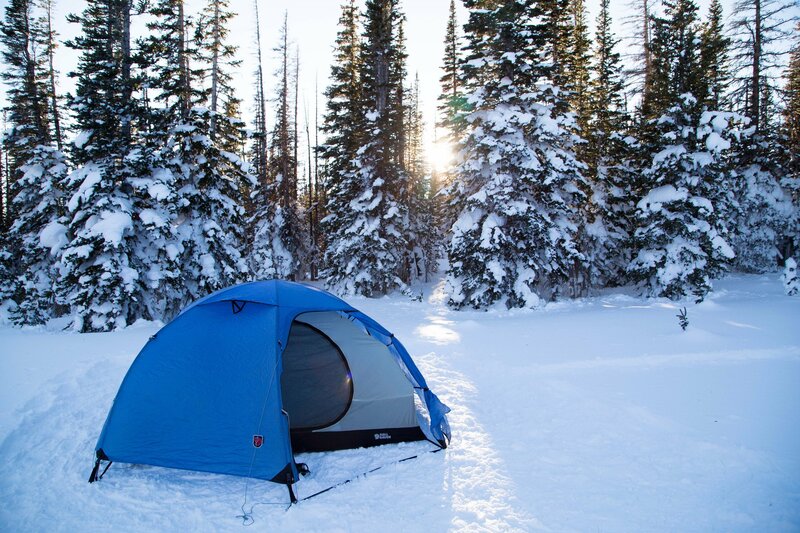 Did you know that the winter is largely filled with sunshine AND snow?! It’s true! We don’t get those long, gloomy days that make you want to hide indoors. Rather, it’ll dump snow for three days and then clear up to a bluebird sky with a big ball of sunshine. This combo of sun and snow creates a perfect melting pot of fun-having outdoor weather! What would you add to the list? Want to connect? Tweet me, find me on Instagram, or show some love on Facebook. Let’s chat! Heather Balogh Rochfort is a freelance writer and author with a focus on outdoor adventure, travel, and fitness. 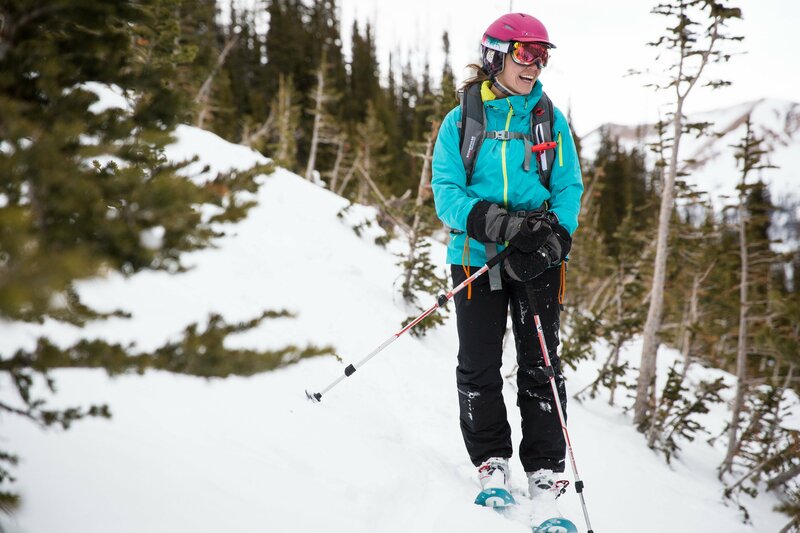 Colorado born and bred, she loves backpacking, trail running, backcountry skiing, and packrafting, especially with her husband, one-year-old daughter, and lovable rescue mutt Tally. Feel free to email with questions! I’ll be snowshoeing there soon enough! I am pumped!!! Love winter. Haven’t done a hut trip yet – do you use beacon/probe/shovels for those trips? Hey Jimmy! For *most* of the huts, you don’t near avy gear to get to the hut itself. 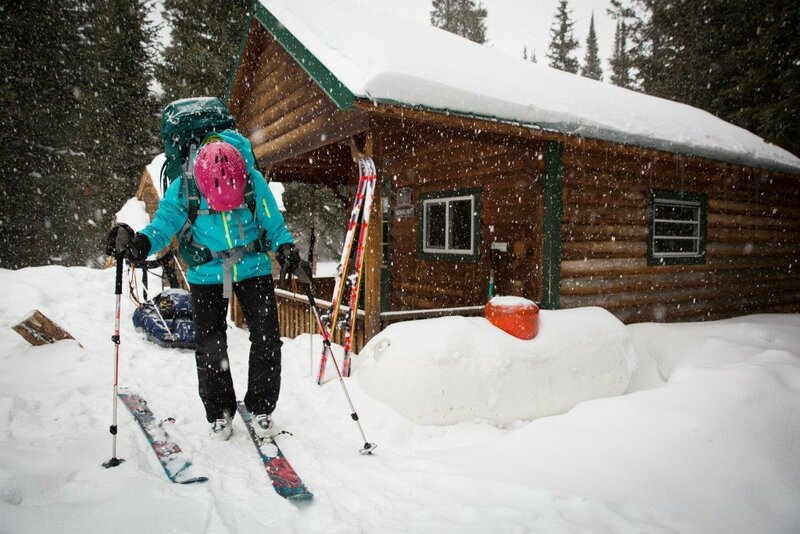 But, if you’re going to tour and/or snowshoe in the environments around the hut, you definitely want the gear. 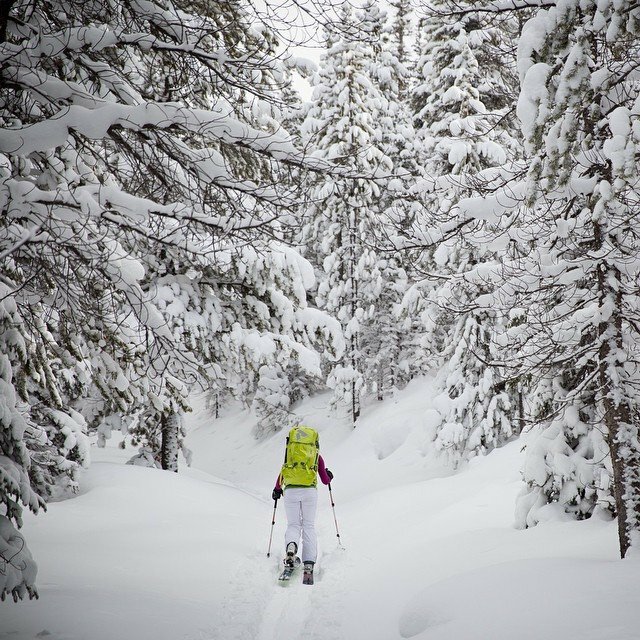 That said, we always bring avalanche gear with us, regardless of what the terrain looks like; it’s better to be safe than sorry! Beautiful shots! I’m really hoping Oregon fairs better this winter!! 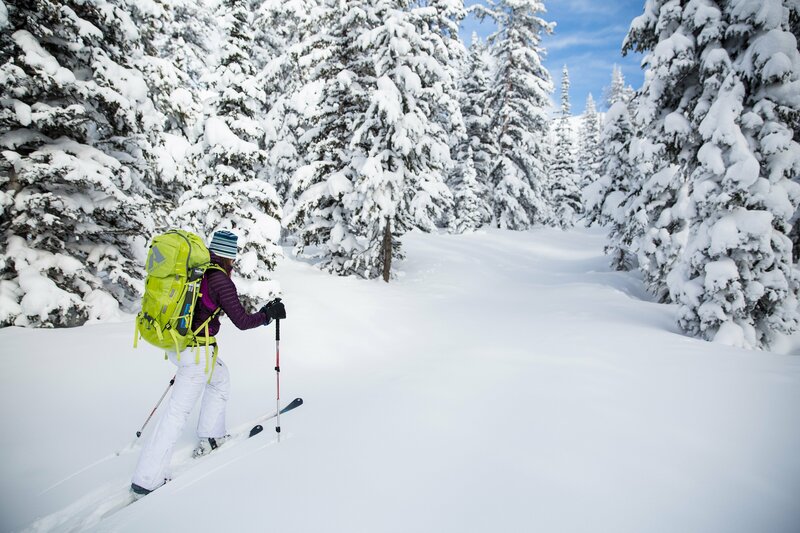 You know, I just included Timberline in an early-season ski resort post I wrote for Liftopia. Usually, that’s money but y’all have had it rough lately! Fingers crossed that El Nino does some WORK for you! SERIOUSLY. Y’all could use to catch a break out there! Dogsledding! Woohoo! I love this post! sending high fives from one rocky mountain girl to another! Ughhhhh I just moved back to Colorado and while I love this state I am not really looking forward to Winter. I hate being cold, the days are shorts, driving is terrible 😜 BUT I do love cross country skiing. We may have to get together for a winter adventure so you can convince me of this great season stuff. Ah, yes!!! I just bought my first AT setup. No more lift lines for me! Any suggestions on places to go for someone new to ski touring? Want to swap? You can stay at our place for awhile and we’ll crash your home and visit Sweden?! I’m dying to go there! Sigh. It all looks so dreamy!! It’s been forever since I’ve been to Colorado – winter or summer. I think that it’s time to make a trip! Pictures are awesome! Now I really feel blessed to live here. I think your reasons are my new “to-do” list. Thanks for sharing!! Living in the Italian Dolomites, I shouldn’t be jealous about all this, but.. I am! I fell in love with Denver, Boulder, Aspen and all the Colorado cities I’ve visited last september. Can’t wait to see it in wintertime! We should do a house swap– I’m DYING to visit the Dolomites!! This is awesome. We spent four days in Estes Park in January and loved it. 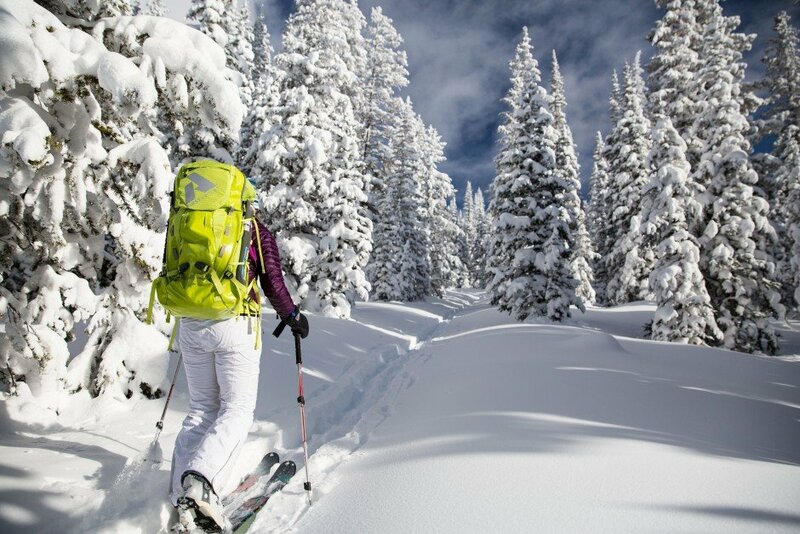 I think the fairytale mountain towns and wildlife set it apart from anywhere else and winters are definitely special in Colorado – people come from around the world to experience them (and the skiing and sledding). sooooo beautiful. I came across your blog from another blog and it is just amazing. I wish we could visit Colorado! Do you live close to the Springs or Denver? So so beautiful. 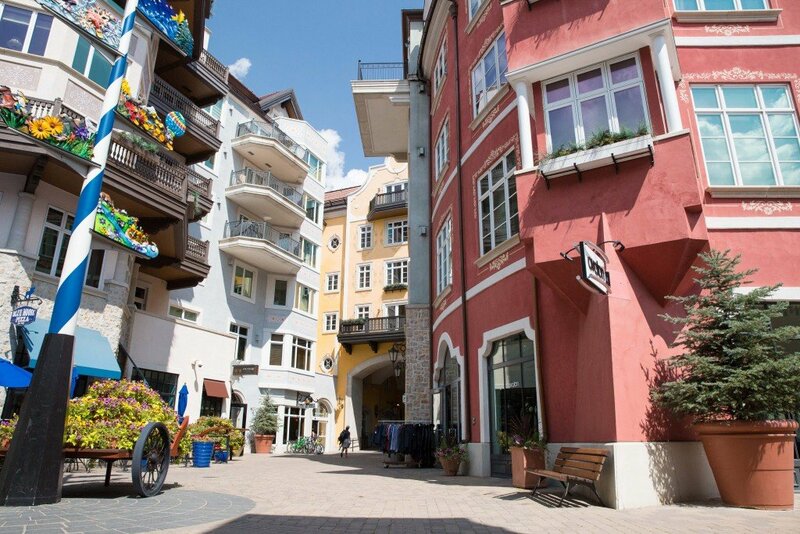 Towns like Crested Butte and Steamboat Springs are pretty unbeatable! Love this post! I’m trying to figure out an itinerary for Colorado for just a few days, and was thinking Estes Park/Rocky Mountain National Park. Can you please tell me where you took the photos where you are wearing white pants and have the lime green backpack? I would love to see and be in snow like that, being that I’m from SoCal. Never Summer Wilderness in Northern Colorado!